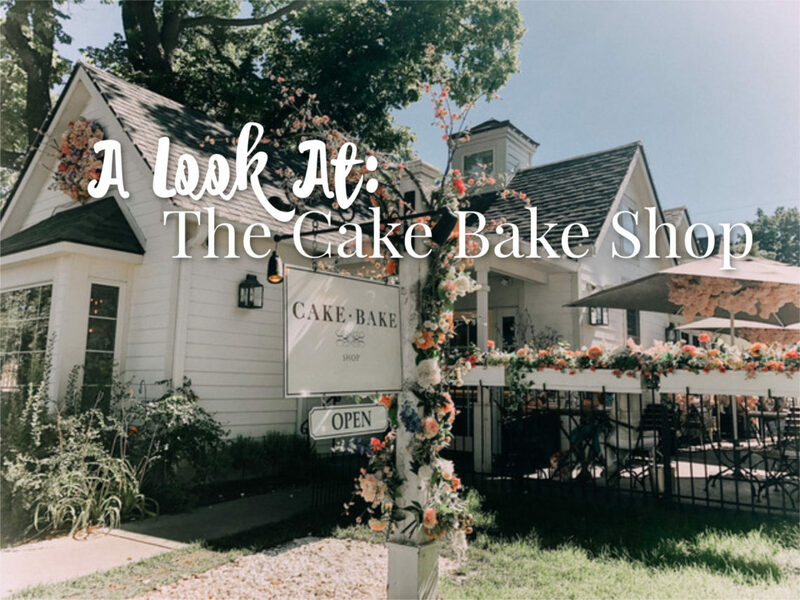 “LET THEM EAT CAKE!” This bakery and cafe in downtown Broadripple will leave you with a sugar high. 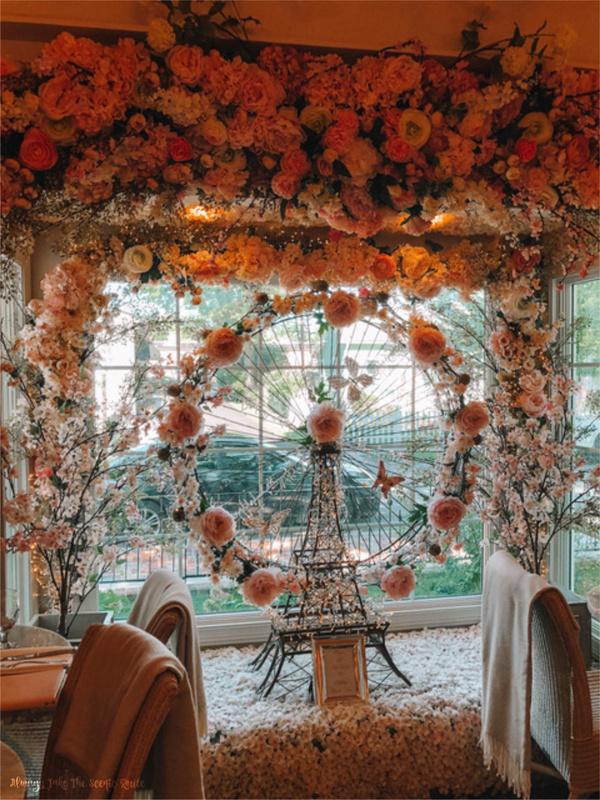 The Cake Bake Shop fulfills every little girl & adult woman’s dreams of tea parties with cake, cocktails, and SO MUCH PINK! 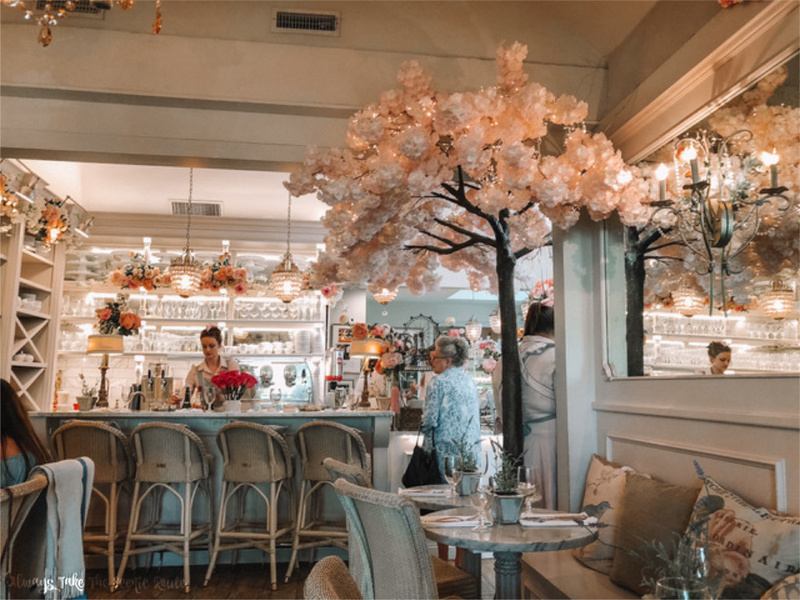 Once you arrive at The Cake Bake Shop you feel as if you’ve stepped into a fairy-tale. 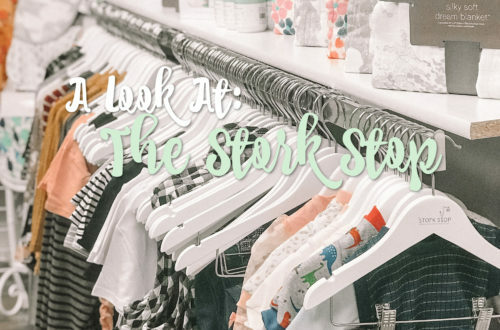 The shop sits inside a beautiful cottage lined with an assortment of pink peonies & roses. You are greeted by women dressed as if they stepped out of a French tea room, it transports you worlds away. 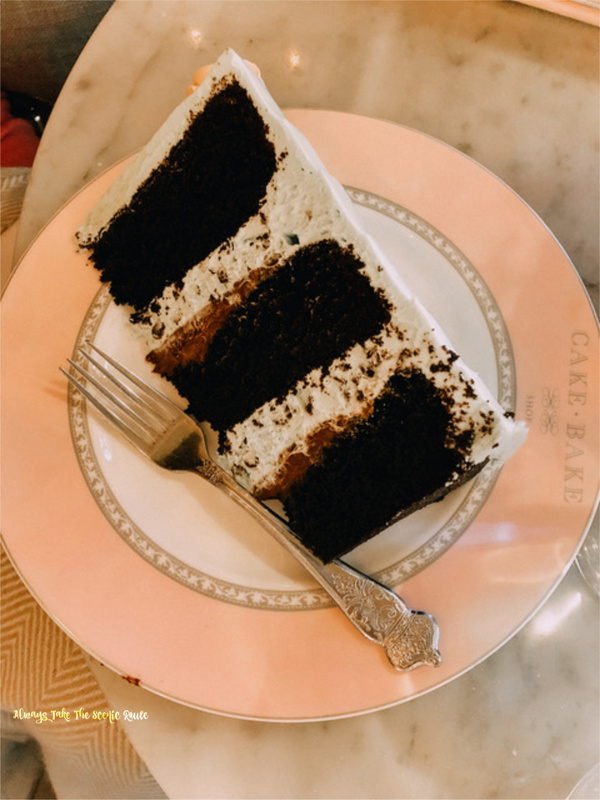 The Cake Bake Shop specializes in delicious gourmet layered cakes, but they also have the most delicious lunch menu. 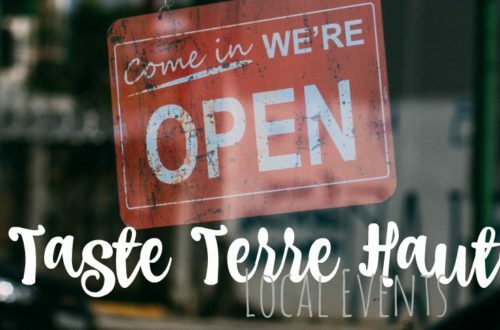 The menu consists of light options like salads, their famous quiche, soups, & sandwiches. 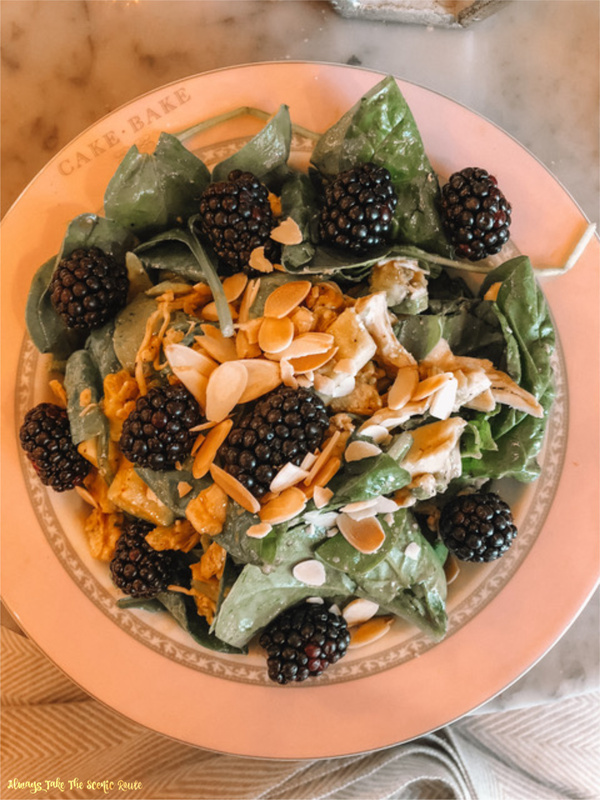 I tried the Blackberry & Avocado Salade with baby spinach, fresh blackberries, avocado, grilled chicken, toasted almonds, & bleu cheese tossed in a honey balsamic vinaigrette. 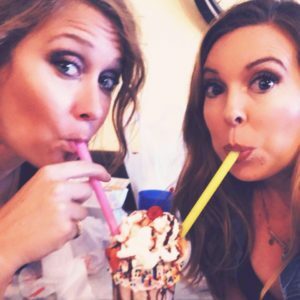 They also have an extensive drink menu featuring coffee, hot chocolate, ice cream floats, an assortment of tea, & decadent cocktails. 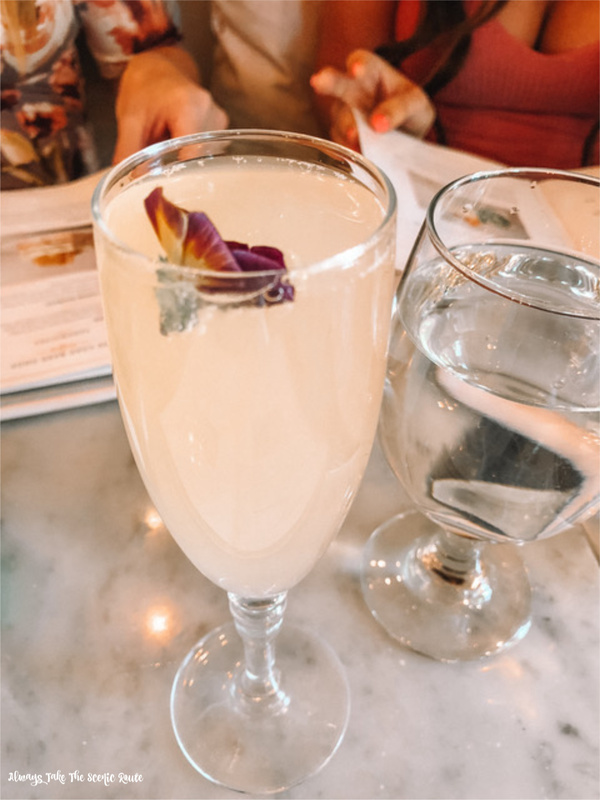 I ordered an Elderflower & Grapefruit Mimosa garnished with an edible flower. Now on to the good stuff, CAKE! The Cake Bake Shop specializes in gourmet French cakes so you can’t leave without trying a slice. The owner Gwendolyn Rogers and her shop have received many awards & recognition by the public and celebrity world for her cakes. You can order full cakes, cakes by the slice, pies, cookies, cheesecakes, & pastries. 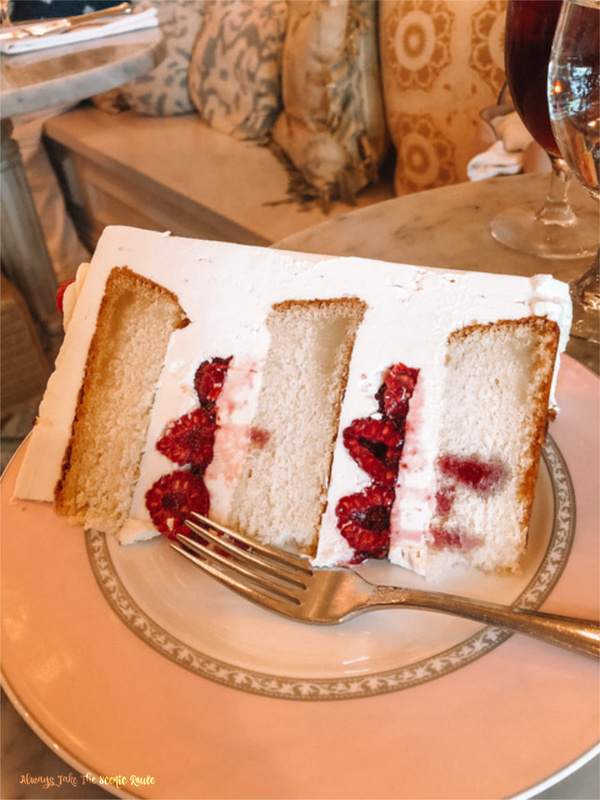 Oprah’s O List named the Mint Chocolate Chip Cake one of their favorites but if your a fruit lover like me, their Raspberry Champagne Cake is the BEST CAKE I’ve ever had. It was light and fluffy and the icing tasted like it came straight from heaven. The menu changes every three months to correspond with the seasons making sure every experience is a new one. 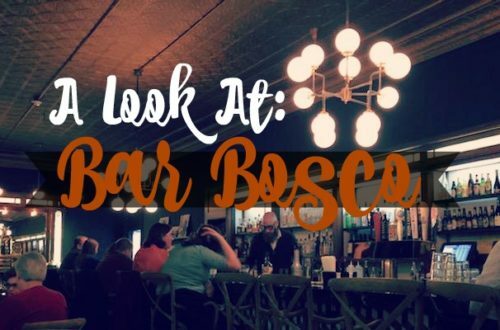 Everything on their menu is house made from scratch daily with a commitment to the highest quality ingredients. The entire shop is transformed for each season with beautiful decorations, so it will never look exactly the same. 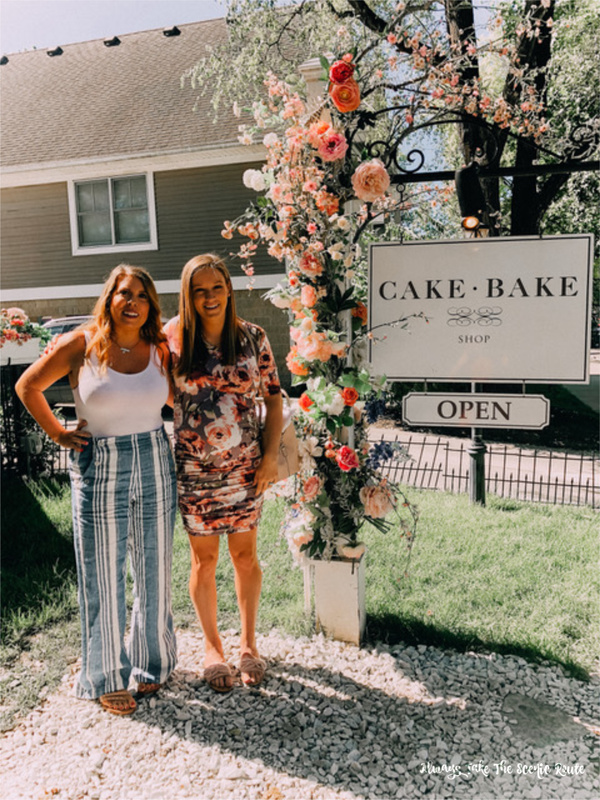 The Cake Bake Shop has become the destination of Indianapolis and surrounding areas for celebrating birthdays, anniversaries and all the special occasions life offers. I recommend making reservations because this place is super popular, and you have to make them months in advance. 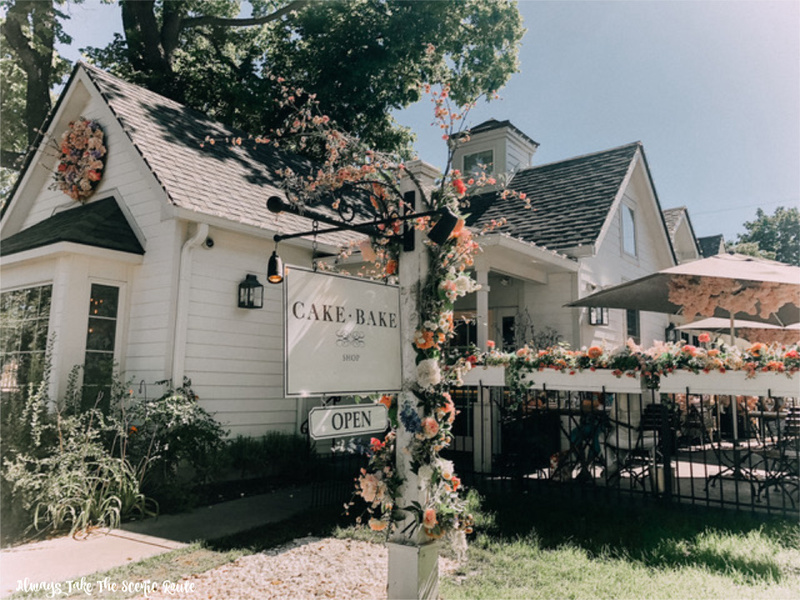 Since the opening of The Cake Bake Shop in 2014, the craze has only grown. Gwendolyn is now working on opening her second Cake Bake Shop, opening Fall of 2018 in Carmel City Center. The Cake Bake Shop is open Monday-Wednesday 10am-8pm, Thursday-Saturday 10am-10pm, & Sunday 10am-6pm. They are only closed on Thanksgiving & Christmas so that leaves you plenty of time to get your girlfriends, sisters, or kids together for an unforgettable experience.